In Europe, we’re lucky enough to have a wide selection of premier holiday destinations right on our doorstep. The Costa del Sol is a great example of a small slice of paradise that’s accessible via a short flight from anywhere in Europe. Most of the Costa del Sol resorts boast excellent beaches, great weather and easy access to all the necessary amenities but there are a few of them that stand out. Here, we take a look at a handful of the best places to stay on the Costa del Sol. 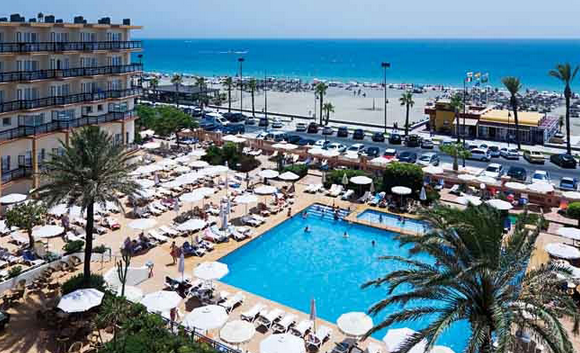 The Costa del Sol is a holiday destination which covers all the bases and this is complemented wonderfully by the Don Carlos Leisure Resort and Spa. The luxury resort sits right next to the botanical gardens, which line the well-known Nikki beach. While the hotel is built around a wide range of sporting facilities – from tennis courts to the swimming pool – the luxurious design also makes it a great place to kick back and relax. If you can tear yourself away from the on-site five-star spa, you’ll find Marbella just a short journey away. As you’d expect from anywhere in the region, there is a wealth of top quality golf courses within just a few minutes of the hotel. Not far from Malaga, the resort at Riu Belplaya never fails to impress. Just a short walk from the sea, guests have everything they could possibly want on-site. The resort is home to two top quality restaurants and all-inclusive packages make sure everything is taken care of before you arrive. For pictures of the resort’s spectacular pool, and more details on all inclusive packages, visit www.expedia.co.uk/Hotels. With so much to offer, it’s no secret that the Costa del Sol can become busy at peak times through the year. If you’re looking for something a little bit more exclusive in the sun this year, the Hotel Los Monteros is a great choice. Just minutes from Marbella, the hotel is situated on the so-called ‘Golf-Mile’ with shuttle services operating to each of the courses. If the golf isn’t enough for you, it might be time to look to the on-site facilities – start with the tennis courts, move on to the pool and finish up in the fitness centre for a truly unforgettable experience.